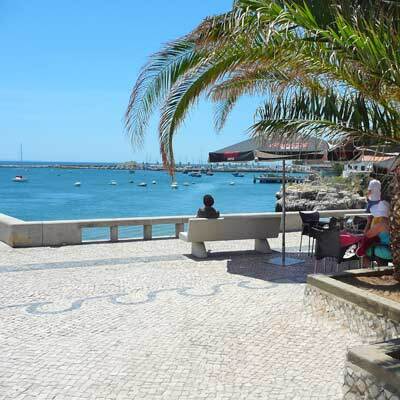 Cascais Portugal Tourism Guide – Fully Updated for 2019! Cascais is a traditional and charming Portuguese fishing town, which is situated on the beautiful Lisbon coastline. Historically, Cascais was the summer retreat of the Portuguese nobility, and today the town is an elegant fusion of decorative 19th-century architecture and modern tourist facilities. 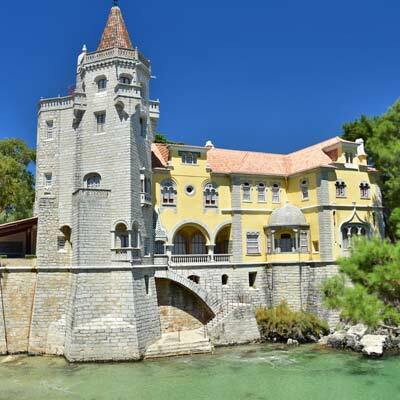 Cascais is a joy to explore as a day trip from Lisbon, within the cobbled streets of the historic centre are lavish mansions, an imposing fort and fascinating museums. 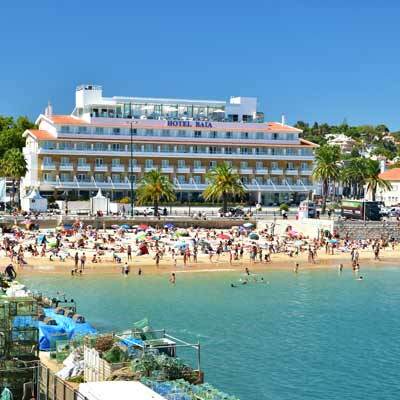 For a holiday, Cascais is the Lisbon coastline’s premier holiday destination, and combines an authentic Portuguese experience with glorious beaches and a buzzing holiday atmosphere. 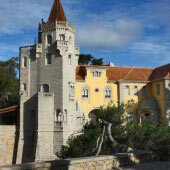 This article will provide an introduction to Cascais and links to further in-depth guides. Why have a holiday to Cascais? Cascais is a stylish and sophisticated town, which has responsibly developed from a minor fishing port into a popular holiday destination. For your holiday, you will struggle to find a better location than Cascais; there are world-class hotels, family run restaurants and lively nightlife, all set within the traditional streets of the historic centre. Cascais boasts a wide variety of cultural sights and enjoyable activities, while the beaches of the region are stunning. 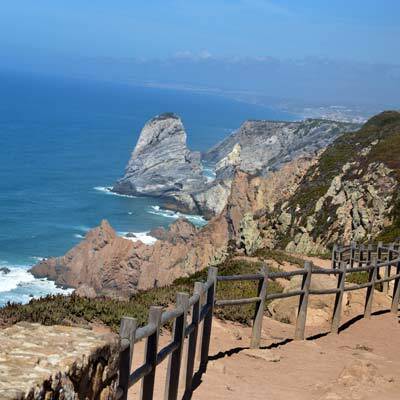 From Cascais there are many fascinating day trips, including; Lisbon, Sintra, Ericeira and Praia das Maçãs, all of which are easily accessible by public transport. Simply put, Cascais is a wonderful destination for a holiday. Cascais is one of the best day trips from Lisbon, as it offers a variety of historic monuments, grand villas and informative museums. At the heart of Cascais is the pretty historic centre, with its traditional Portuguese character and numerous restaurants and shops. Along the waterfront are the fishing harbour, the exclusive marina and the restored fort, that contains an upmarket artisan hub. 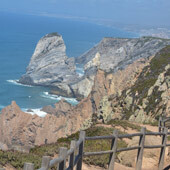 Added to the day trip could be a visit to the Boca do Inferno cliffs or the fashionable town of Estoril, both of which are connected to Cascais by scenic coastal walks. Cascais is an enjoyable day trip, and is easy to travel to, being connected to Lisbon by a direct train service (details further on in the article). Cascais is the ideal holiday destination if you want more than just beautiful beaches and glorious weather for your holiday. There are museums, art galleries, challenging hiking trails, boat trips, and Lisbon is only a short train ride away. In the summer Cascais is popular family holiday destination, attracting a diverse mixture of European nationals. Either side of the peak months Cascais is a favourite with couples of all ages and nationalities. Note: Cascais is not a destination for groups wanting to excessively drink or have a loutish holiday. Portugal is currently experiencing a massive growth within tourism; hotels are being refurbished, new businesses are opening, and the peak season is extending. 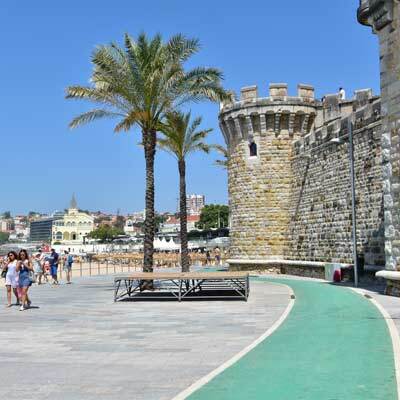 Cascais is expecting a record number of visitors in 2019, and this follows the sell-out summer of 2018. This does mean that to secure the best prices, accommodation and flights must be booked far in advance. If you are seriously considering a holiday to Cascais, our advice is to book flights and accommodation now, as prices will increase and sell out. 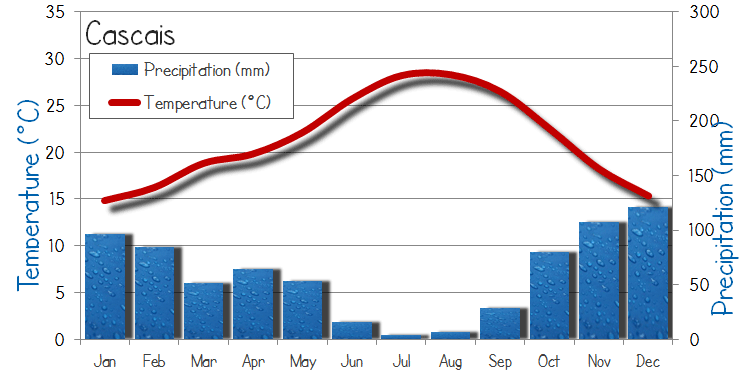 Cascais has hot dry summers, pleasant spring and autumns, and mild but possibly wet winters. The tourist season extends from Easter until October, and the peak season is July and August. Late spring and early autumn are our favourite time of the year to visit Cascais and the Lisbon coastline. The weather is suitable for spending time on the beach from mid-May until the end of September, but the sea temperature is always cold, only reaching 21C in the mid-summer. Does Cascais have great beaches? There are four beautiful beaches within walking distance of the historic centre of Cascais; the Praia da Conceição, the Praia da Duquesa, the Praia da Rainha and the Praia da Ribeira. These beaches offer golden sands, calm sea waters and outstanding tourist facilities. Surrounding Cascais are two contrasting coastlines; the wild and windswept surfing beaches to the north, and the family-friendly beaches to the east. The Praia do Guincho is considered as one of the finest surfing beaches of Portugal and is set amidst the stunning scenery of the Parque Natural de Sintra-Cascais. To the east of Cascais are numerous beautiful sandy beaches, including Carcavelos and São Pedro, which are a favourite with the residents of Lisbon, who flock to them during the summer months. Cascais is a great holiday destination for families and young children. There are many hotels designed for families and children will be welcomed in all restaurants and tourist attractions. The beaches of Cascais are safe, with clean and calm sea waters, and are supervised in the summer. Cascais is significantly calmer than the larger resort towns along the Algarve coastline. 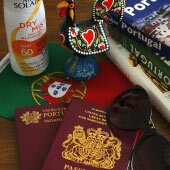 As a country, Portugal is a very safe destination and the Portuguese are a family-focused nation. Everyone who works in tourism speaks a range of European languages, and language will never be an issue. 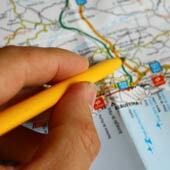 Advice: If you are restricted by school holidays, always book accommodation and flights as far in advance as possible. 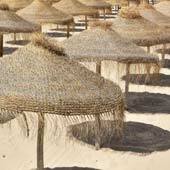 Twentysomethings and young couples wanting a varied and lively holiday should seriously consider Cascais. The beaches are beautiful, there are numerous exciting activities, and the nightlife is social, attracting a diverse range of people. Only a short train ride away is the major city of Lisbon, with its progressive attitudes, vibrant artisan scene and buzzing nightlife. 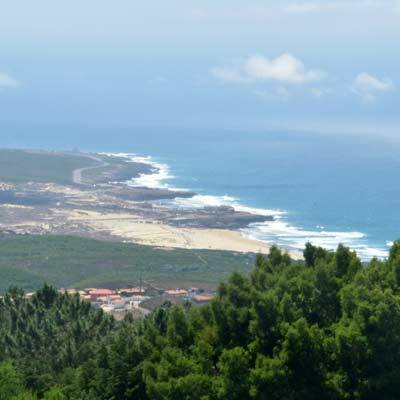 Generally, Portugal is an inexpensive holiday destination, with food, drink and transport significantly cheaper than many other European resorts in Greece or the Balearic Islands. 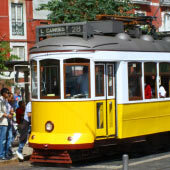 Cascais is connected to Lisbon by a regular and inexpensive regional railway. 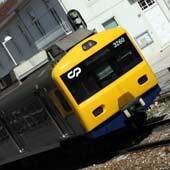 This train departs Lisbon, from the Cais do Sodre train station (GPS 38.705949, -9.145301) and the journey takes 33 or 40 minutes, with a ticket costing €2.25/€4.50 (single/return). 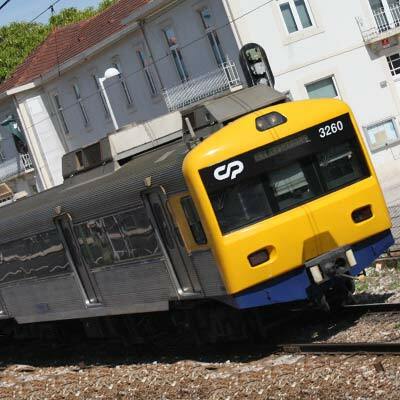 To travel from the airport to the Cais do Sodre train station, take the metro (red line then change to the green line at the Alameda metro station). A single metro ticket costs €1.50 and is charged to the reusable “Viva Viagem card” (€0.50 for the initial purchase). Why is Cascais known as the Town of Kings and Fishermen? Unlike many other Mediterranean beach resorts, which suddenly sprung up with the advent of mass tourism, Cascais has been established as a holiday destination since the early 19th century. Historically Cascais was a minor fishing port but this forever changed when King Luís I (1838 - 1889) proclaimed Cascais as his preferred location for his royal summer retreat. The decampment of the Portuguese nobility from Lisbon to Cascais during the summer months encouraged the high-society of 19th-century Europe to flock to Cascais as well. This influx of money and political power funded the construction of grand residences, lavish entertainment venues and fine parks. The two extremes of people who lived in the town gave rise to Cascais’ popular nickname of "The Town of Kings and Fishes". This trend of the high-society has continued through to the present day, with many of Lisbon’s rich and famous living within the vicinity of Cascais, providing the region with a prosperous and sophisticated atmosphere. 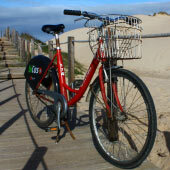 What can be seen in a 1-week holiday to Cascais? 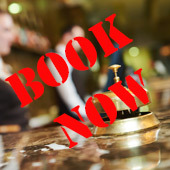 Find Cascais's finest hotels at the lowest prices! 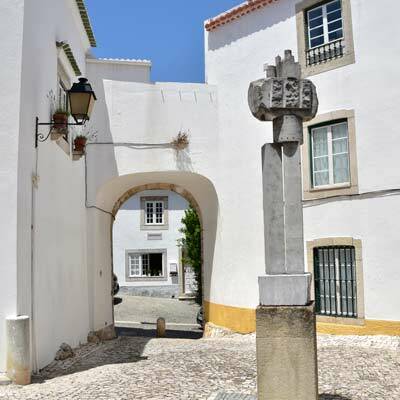 What are the main attractions of Cascais? Is the Lisbon region good for families and children?